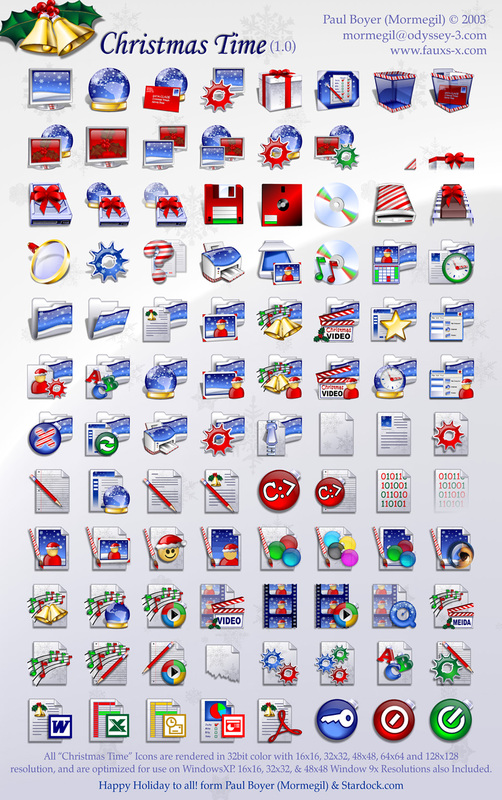 I know it is less then two weeks to Christmas, but rounding out this Iconpack took a bit more time then I had expected, ok, a lot more time. But here they are like I promised. Hope you find them worth the wait. Also Avalible form _Martin_ are some matching DesktopX objects. Keila has just posted a CursorXP theme that goes very well with the rest of the theme. These are so real looking one can almost lift them out of the monitor, simply amazing! well worth the wait!!! thanks every so much!!! These were well worth the wait. The entire suite is stunning -- these are the icing on the cake. Been watching and waiting for these Very nice, thanks for sharing! You are a master Paul! Thank you and beautifully done, i hope you have happy and safe holidays!!! Oh yeah - hot, hot stuff here, Paul. You're the best great job. look at the Christmas Balls for the stand by, turn off & restart, Paul your too good! Very NICE ICONS~~~~ LOL Actually I come here everyday to see whether the full pack is finished or not~~~Thank you very much!!!真係好靚呀!!!! All the nice comments have all been said. I won't say them again. But, I'll say one thing. Thanks. How to make this icon??? Oh my gosh, they are Gorgeous !!!! paul, keep practicing like this and someday you'll be an accomplished artist in computer graphics creation. i can see a career doing this stuff in your future. (i'm being sarcastic, people) great stuff, paul. but we've come to expect nothing less that the best from you.